‘Reign timepieces are worn by those who come second to none’. The mantra of these horological craftsman, each watch fuses refined materials and cutting-edge construction to create a finishing touch that’s both pioneering and practical. 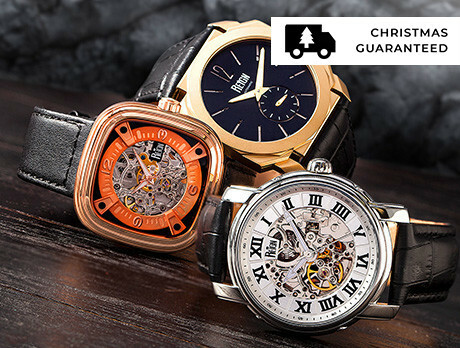 Bringing together both classic and contemporary styles, our edit is for leaders in the art of punctuality.